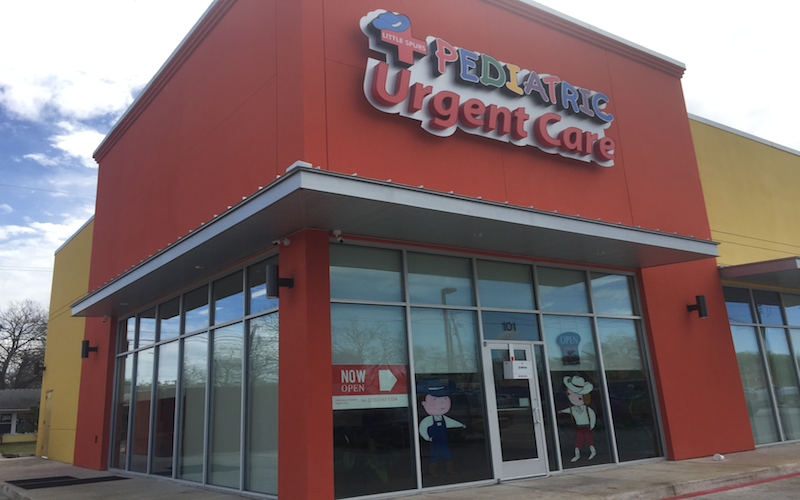 Recognized favorably amongst their patients, Little Spurs Pediatric Urgent Care, Las Palmas has an average rating of 4.8 stars out of 5 based on 324 total ratings. It was quick and clean. I liked that they sanitize the bed and chairs in the room. They were very friendly. Keep up the great work. I would recommend to everyone to check it out. Everyone at the Little Spurs Pediatric Urgent Care were so helpful and friendly. The wait time was not long as well. There is also plenty of room in their big jungle theme waiting area for your toddler to walk around and not be confined to a chair. Overall GREAT place to take a sick child or teen. No wait time and dr. Was professional and quick which is a big plus !! Always a great experience with everyone friendly staff and doctors. Love little spurs Las Palmas location. Thank you Kristi for always being so good with kiddos :). The staff is awesome. Provider jasmine flowers was very kind and help my son out. Kristy was great helping in the room during procedure. Thank you. Staff always on point! Customer service from front end and doctors is excellet. I always come here! Front desk ladies were friendly courteous and helpful. They Dr and nurses were very professional. The place is very clean. The waiting was not long at all. This is my 3rd time there. I highly recommend it I will go back if I need to. Fast, Friendly, and always wonderful communication. The staff is superb! My first time here and I loved it. The wait time was fast and you can even sign in online! The staff was friendly and I loved the dr., very nice and caring. They even called me back to see how my baby was doing! Definetly going back! The staff is really friendly was there less then 30 mins . They answered all my questions and made sure , I’ll recommend it to everyone never went in and out at a pediatric office.